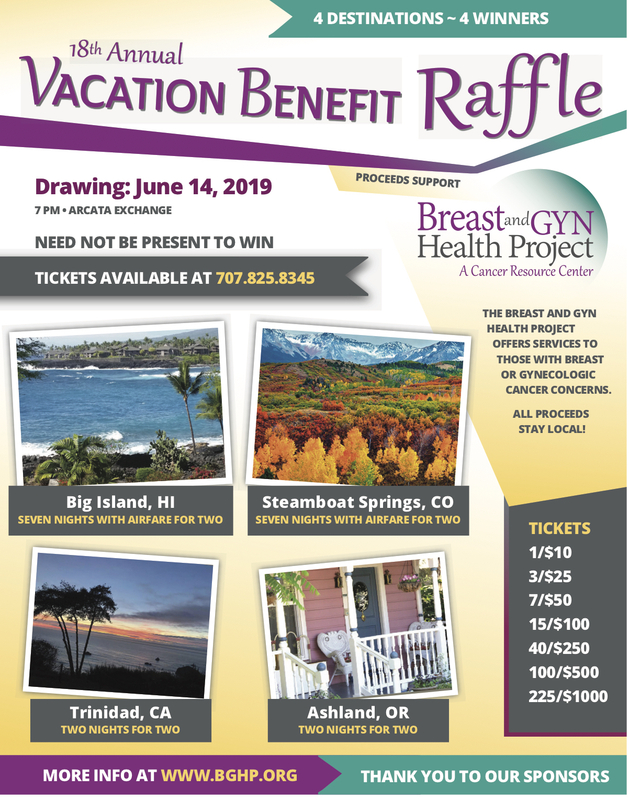 This morning I spoke with Maureen Lawlor of the Breast and GYN Health Project about their 18th annual vacation raffle. This is the big fund raiser for this local grass roots organization offering services to those with breast or gynecologic cancer concerns. The drawing is on June 14th, but you don't have to be present to win. More information about the raffle at their website.